Description: This packet helps students practice solving word problems that require multiplication with decimals. Each page contains 6 problems. Each page also has a speed and accuracy guide to help students see how fast and how accurately they should be doing these problems. After doing all 12 problems, students should be more comfortable doing these problems and have a clear understanding of how to solve them. If a Cadillac car seats 6 people, how many people can fit into 12 Cadillacs? 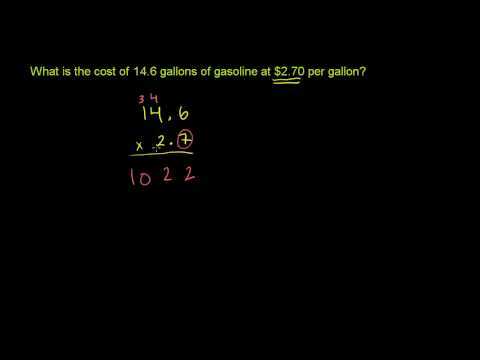 Practice problems require knowledge of how to multiply whole numbers and decimals.